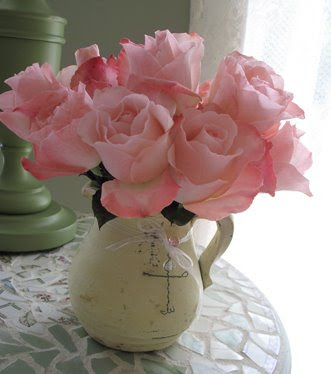 Simple, rustic Wire Cross Embellishment: Click on the links to see the full posts. And to check out all my Easter ideas to date, go here, or click on the "Easter" label under topics in the right hand column of my blog. Enjoy! Oohhh! These are beautiful! Thanks so much for sharing your lovely ideas! If you get a minute, check out my blog with some decorating needs!! I'd love any and all advice! Jeanne, you are so talented. GOD has entrusted you this gift and you are very well enriching it. Keep it up! GOD's glory is shining upon you, my dear friend! I LOVE your creativity! Beautiful. Just beautiful. GLORY TO GOD! GOD BLESS YOU ABUNDANTLY! P.U.S.H. iLoveYou, my dear sister in CHRIST! Beautiful your love for the Lord shines and blesses all you create.Thank you for sharing your wonderful ideas.Easter is one of my favorite times of the year. Great ideas! 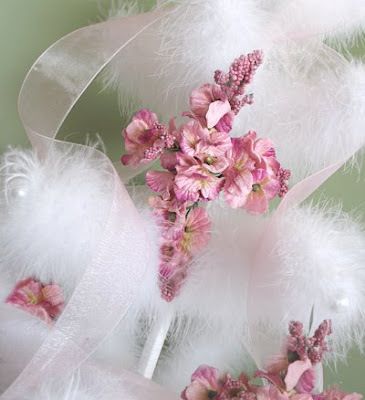 Makes me want to go & pull out my Easter decor! I love visiting your blog. There's always such creativity to see. I'm not talented in that department so I love your ideas. I love the feather crosses..:)! Beautiful, beautiful things. 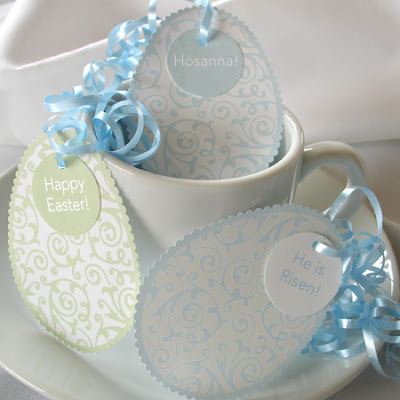 I especially love the Easter egg place card holdes. Simple, yet elegants! What a lovely way to celebrate Easter and the change of seasons. Always enjoy reading your inspirational posts, thanks for sharing.